Wishing you and us lots of success ! Wir wuenschen Ihnen und uns viel Erfolg ! The mutual attraction between France and Russia, which began in the 18th century when Peter the Great’s daughter the Empress Elizabeth became fascinated with all things French, was a marriage of opposites: musically, the weighty, mournful Russian sound often contrasted with French transparency and spirit. But a program called “Obsession à la Russe,” presented by the New York Festival of Song at Weill Recital Hall on Tuesday and enlivened by the witty commentary of the able accompanist Steven Blier, challenged some of those musical stereotypes. When planning the event, Mr. Blier said, he noted how Russian the French composers could sound — “in their own diaphanous way” — and vice versa. The first half of the concert, titled “Russia Looks West,” featured songs by Russian composers set to French poetry, beginning with Alexander Dargomyzhsky’s “Au Bal,” a Gallic-flavored parlor piece sung by the young tenor Nicholas Phan. Anton Belov, a baritone with a rich, mellifluous voice, sang two of Tchaikovsky’s “Six French Songs” and “April! A Festive Day in Spring,” an unusually cheery rarity by the teenage Rachmaninoff. Dina Kuznetsova, a soprano with an attractive, bright voice, performed selections including the passionate “Music” by Sergei Taneyev, a student of Tchaikovsky. Ms. Kuznetsova and Mr. Phan combined for three “Vocalises” by Prokofiev, one of a number of Russian artists, including Diaghilev and Stravinsky, who lived in Paris. The Franco-Russian traffic went both ways. Berlioz, Saint-Saëns and Debussy visited Russia, and many French composers were influenced by their Slavic colleagues. In the second half of the program, “Russia Comes West,” Ms. Kuznetsova sang Stravinsky’s delicate “Two Poems of Konstantin Bal’mont” and Satie’s “Daphénéo,” from a set of three songs dedicated to Stravinsky. Mr. Phan, whose emotional palette seemed limited, performed songs by Poulenc (the first, “Le Portrait,” an example of the composer sounding like Stravinsky, Mr. Blier said) and Ravel’s “Sainte,” whose chords evoke the Orthodox Church. The highlight of the evening was Mr. Belov’s powerful renditions of signature songs of the bass Fyodor Chaliapin, another Russian who lived in Paris, including “Trepak” from Mussorgsky’s “Songs and Dances of Death” and the title character’s aria from Rachmaninoff’s “Aleko.” In “Nochen’ka,” a melancholy folk melody, Mr. Belov sounded particularly fine, singing with urgency and soulful pathos. The program is repeated Thursday night at Weill Recital Hall, Carnegie Hall; (212) 247-7800, carnegiehall.org. 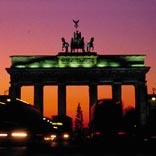 IHI - Israel Holiday International - Berlin offers special discounted travel adventure packages !